BleachHouseLibrary.ie: Blog Tour and Giveaway - "The Judge's Wife" by Ann O'Loughlin. 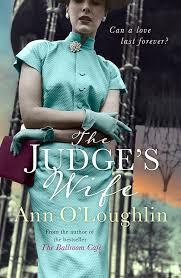 Blog Tour and Giveaway - "The Judge's Wife" by Ann O'Loughlin. 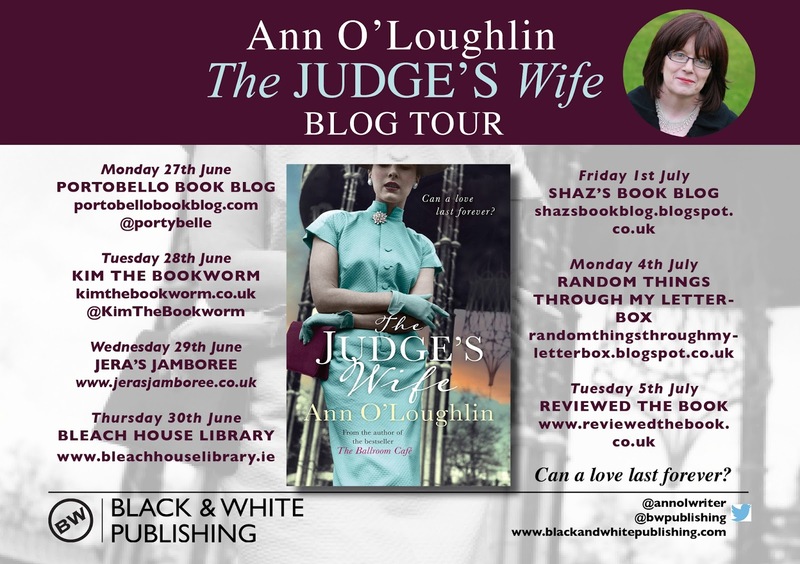 I am delighted to bring you an exclusive piece, from Ann O' Loughlin, on my stop of the Blog Tour for her latest novel The Judge's Wife. I also have a a copy of the book, as well as a copy of her debut novel, The Ballroom Cafe, to giveaway to one lucky reader. To be in with a chance of winning this great prize, just enter via rafflecopter link below. Good Luck! Can a love last forever? When Emma returns to Dublin to put her estranged father’s affairs in order, she begins to piece together the story of his life and that of Grace, the mother she never knew. She knows her father as the judge – as stern and distant at home as he was in the courtroom. But as she goes through his personal effects, Emma begins to find clues about her mother that shock her profoundly. A tale of enduring love and scandal that begins in 1950s Dublin and unravels across decades and continents, digging up long-buried family secrets along the way, The Judge’s Wife asks whether love really can last forever. Grace Moran in The Judge’s Wife loved to wear Sybil Connolly day dresses, suits and elegant ballgowns. Dublin designer Sybil Connolly designed the most beautiful clothes. She reworked traditional Irish fabrics and styles – including peasant blouses, flannel petticoats and shawls – to give them contemporary appeal and glamour. Perhaps her most distinctive contribution to fashion was pleated handkerchief linen – as worn by Jackie Kennedy in the official White House portrait – it took up to nine yards of Irish linen handkerchiefs to create one yard of the uncrushable pleated fabric that pioneered. 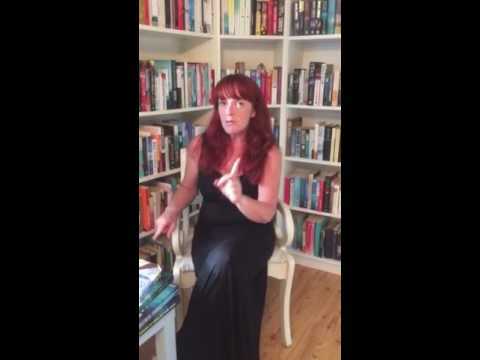 This is an extract where Grace’s daughter, Emma in her father’s house in Parnell Square, Dublin comes across boxes and boxes of clothes belonging to the mother she never knew. In one special shop box is a beautiful Sybil Connolly dress wrapped in tissue paper. Boxes and boxes were piled high, with the name Grace scrawled in thick black marker. Stumbling, confusion clouding her face, Emma hit against a high stack of boxes, making it shake. The foreman stepped from behind a tower in the front room. Tremors hurled up her body, buckling her knees and gripping her stomach. When Angie ran to her, she let her pull her gently into the library. Somebody called out that everything was down from the attic and Emma jumped to her feet. “Now, now, these boxes are going nowhere. You catch your breath,” Angie said gently, pressing Emma back onto the chaise longue. The box took up the width of her arms. Once white, it was now covered in a layer of fine dust, the string faded a green-grey. Behind the dust, the name Sybil Connolly, Dublin was set in plain black print. Glancing into the front sitting room, Emma looked around. Stacks of boxes like a child’s playing bricks everywhere, four abreast on the upholstered couch, spanning the width of the window. Placing the outsize rectangular box on the floor, she eased the top off gently, her hair tumbling down, blocking out her face, her hands trembling. A cloud of dust blustered up around her as she pushed back the cover and pulled on layers and layers of white tissue paper, which piled up and crumpled around her. A dress, ivory, ruffled with lace and inlaid with satin ribbons, was folded neatly. Emma lifted out the dress, standing up so it unfurled to the ground in a hurried whishing whisper. Layers of pleated frills were topped with lace and interwoven with pale-blue ribbon. The skirt spread out in tiny pinched pleats, a series of Chinese fans fluttering their messages. It was heavy to hold, the taffeta underskirt setting the pleated ruffles in place. Emma held it to her, swaying from side to side. The whoosh of the linen as it swept across the carpet made her swing faster and faster, the room twirling until she felt dizzy. Falling between two boxes on the couch, the linen spread around her as if it owned her. She felt at home here, probably for the first time. All the times she had dreamed of her mother, wanting to feel her comforting presence, her soft touch, all the times she imagined it. Passing her hand over the linen, she disturbed the fabric and a faint hint of perfume waved around her. Pulling the nearest box on the couch, she nudged the cardboard flaps open. A bundle of silk scarves lounged like sleeping snakes. Placing her hand into the well of colours, she heard the klssss of the silk as it moved, disturbed after years locked away. Not checking what she was picking, she pulled, latching on to one long scarf. It slithered out in a haze of royal blue, green, purple, the colours bouncing in the light, throwing bars of colour at the mirror over the mantelpiece. Crumpling it to tame it around her neck, she pushed the linen dress aside and jumped up to look in the mirror. Settling her hair on top of her head, the scarf complemented her long, graceful neck. Then, abruptly, she let her hair fall down. There was no going back to Australia, but what life could she make here among the forgotten treasures of a long-dead woman? Opening two more boxes, she tumbled out the contents, sifting through the clothes and losing track of time, only stopping when she heard the chat from the people standing at the bus stop outside the window. Peeping out the window, she saw a man finish his bottle of Coke before leaning over the railing and letting the empty bottle smash to the basement. Cross, Emma ran to the door, but the man was already boarding a double-decker. Emma’s throat tightened and pain flared through her that so many knew her mother and she did not even have a faint memory: a favourite name or nursery rhyme, a touch, a look. Anger swelled inside her at her father and she wanted him to be alive so she could cross-examine him, demand answers. Angie Hannon called out to Tom Harty’s wife and Emma, taking advantage of her distraction, slipped back inside her front door. What good was it opening these boxes and rummaging through the life of the mother she had never known? She should lock up this place, run away, but where would she go? There was no home back in Australia, just a lot of other possessions she did not care about and a husband busy playing house with another. She kicked a box, so light it skidded across the tiles in the hall. It hit a stack piled too high and the top box toppled over, the contents spilling across the floor. Not bothering to pick up the items, Emma climbed the stairs, stopping on the fourth step to look back down the hall. The black and white tiles glinted in the light spilling in from over the door. It was the judge’s house. It still had his smell, and she expected him to call out from his library, to hear him clear his throat as he read his files. The Judge's Wife is published by Black and White Publishing and is available in PB and ebook format. Great giveaway. Thanks for publishing the excerpt and offering a chance to win.